Constructing a new manufacturing plant or expanding your current facility can be an exciting, and sometimes frustrating, process. There are plenty of challenges that can arise along the way, so it’s a good idea to be as prepared as possible. It is helpful to have a fairly good understanding of the different steps required to plan and manage your construction project—steps that lead up to your being handed the keys and the O&M manuals. By understanding the process and by choosing the right industrial contractor to be your building partner, you will be well on your way to a successful project that will meet your expectations, stay within your budget and finish on time. 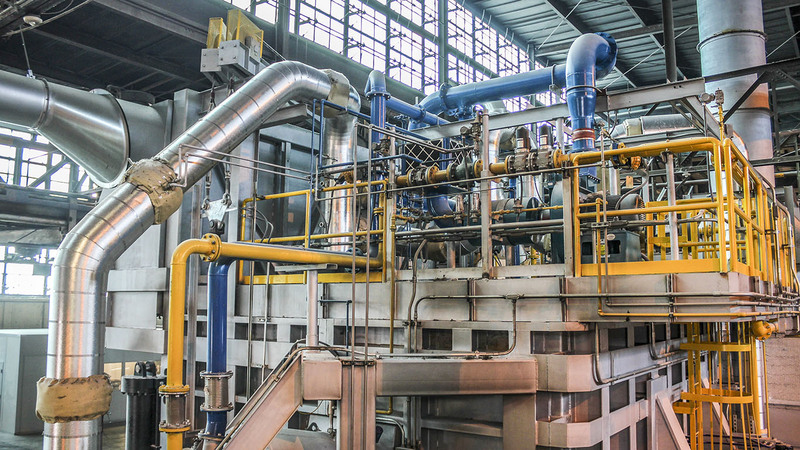 If you’re building a new manufacturing plant, the first thing to think about is location and what kind of land acquisition you’ll need to make. You’ll need to be sure you have plenty of space for your needs, including loading docks, employee parking, and any other needs you have based on the type of plant you plan on constructing. Additionally, an analysis of potential barriers such as wetlands, infrastructure, and potential economic incentives should be considered at this time. The next step is to consider what permits and approvals you’ll need before you can begin construction. This can be a difficult step, so this is the perfect time to involve your building contractor—if not before. Depending upon your situation, you could have several different layers of approvals needed to allow construction, which can be daunting. Local zoning codes, protective covenants, storm water management, site plan approval, state plan approval, and local permitting are common on most projects. If you don't understand the process, this can take a serious amount of time. Once you know where you’ll be constructing your plant and you have the appropriate permits, it’s time to think about financing. There are a number of financing options available, including grants, loans and TIF (tax increment financing). Not every option will be the right choice for every manufacturer. This is where an experienced contractor can help you discover which financing options best fit your unique needs. The design and concept phase is one of the most important, and it’s also one that people are most excited to get to. During this step, you and your contractor will begin to visualize what your manufacturing plant or addition will look like and you’ll begin the process of designing the building. This can take some time, and the end result may not look exactly like what you had envisioned. Be flexible and work with experts to help you design a manufacturing plant that meets all of your needs and includes the features you want. Avoid focusing solely on the aesthetics of your plant and pay special attention to the details. Plan for storage room, employee common areas, and other space needs that you will have that you might not have previously thought about. After your design and concept are ready, the next step is to determine your system of delivery. Will you need a GC (general contractor), and/or a CM (construction manager)? This is the time to think about who you will need to have in place and what experience they will need to have to begin building. Is you schedule and budget tight? The design-build delivery system may be the better choice for your project. A key component to your new facility is the construction schedule. It can effect financing terms, relocation activities, production forecasts and many other elements that transcend beyond the physical construction of the new plant. There are many variables that can affect the schedule. Some are out of your control (weather, for instance), but there are many that you can control (see #10). For the most part, better advance planning on your part will help ensure the project remains on schedule. Depending on the type of manufacturing plant you are building or expanding, you may need to purchase specialized equipment. For example, food manufacturing plants have unique equipment needs compared to other types of manufacturing plants. Don't forget to include these items in your overall pro forma analysis. Overhead cranes and intelligent lifting devices need to be planned for in advance. It may seem like a long way away, but thinking about what expansion you may want to do in the future can help you build now. If you build your manufacturing plant in a way that will make it easier to expand later on, your plant becomes scalable. Ensure there is enough property for expansion and layout operations so disruption will be minimized. Before you break ground, there are a few more considerations to be made. How will your building be constructed? Will it be concrete or metal? What type of lighting will be used? Do you want your building to be as environmentally friendly as possible? Also consider planning for total occupancy, floor loads, clear span, ceiling heights, power needs, HVAC requirements, and other needs your manufacturing plant will have to become fully functional. Although the process of building or expanding a manufacturing plant can be daunting, you can help it go as smoothly as possible by working with a trusted building services partner. When you’re not sure what the next step should be, a contractor experienced in building the type of facility you need can best guide you. From concept to construction, your partner will work with you to ensure that everything goes according to plan and will have no problem communicating with you and your staff along the way. Contact us today to learn more about building or expanding your manufacturing plant. Call today at 920-682-6105 or schedule a free consultation.